Make sure your pre-event advertising holds the perfect pose when you print Dance Silhouette Flyers and post them in advance of your upcoming recital or performance. 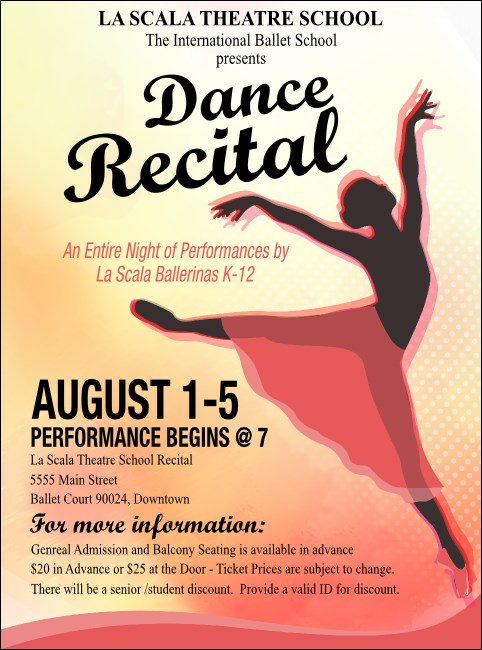 Promote your dance recital with Flyer templates that feature a ballerina en pointe, arms lifted in a delicate pose, surrounded by a colorful pastel background. Find event promotions that perform as well as your troupe at TicketPrinting.com.